The cast and crew of Spider-Man: Homecoming assembled at a press conference in New York City today to discuss the much anticipated film. 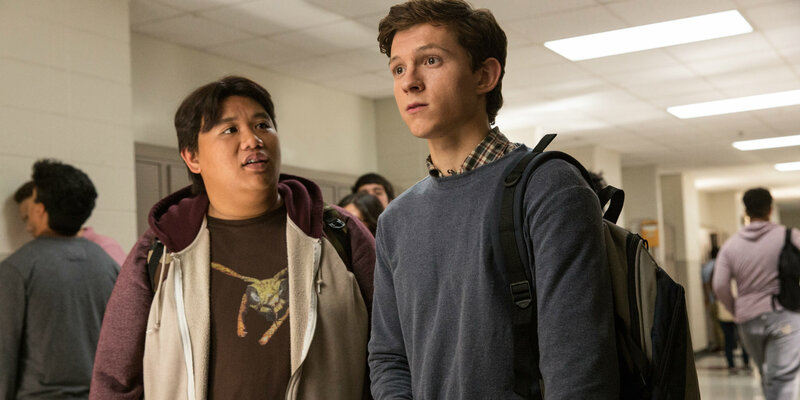 On hand for the event were Tom Holland (Peter Parker/Spider-Man), Robert Downey Jr. (Tony Stark/Iron Man), Michael Keaton (Adrian Toomes/Vulture), and supporting players Laura Harrier, Jacob Batalon, Zendaya, and Tony Revolori, along with director Jon Watts and executive producers Kevin Feige and Amy Pascal. The half hour press conference, streamed via Facebook, was wide ranging, and delved into the cast and crew's thoughts not just on the movie itself, but the fact that it's a minor miracle it was even made. It was a “this will never be possible but let’s dream about it” moment at Marvel Studios…having made the movie is unbelievable. It is incredible…it started with a lunch between me and Kevin, and I can’t believe we’re here now. It’s pretty exciting. I just tried to approach it as the biggest fan possible…the opportunity to finally put Spider-Man in the Marvel universe where he belongs, really just opened the doors to so many new kinds of stories that we could tell…if anything I felt like we were being as true as possible as anyone has ever been able to be about Spider-Man and how he fits into this world. I think the thing I had to remind myself most when I first took on this character was that Tobey Maguire’s Spider-Man had such a huge impact on me as a kid…he was my role model growing up, he was my favorite character, so I had to keep reminding myself that I was going to have that same impact on kids of a younger generation…I wanted to be a solid role model for them and also do a fresh, young version of the character we know and love so well. I thought it was inventive and really an interesting way to go…I’m not really familiar with a lot of the lore, so for me I was trying to catch up…it’s timely, he’s a person who has a legitimate gripe and a legitimate argument…I thought it was really well written…it was a fun gig. This turned out so well…it always come down to what Kevin says, “you’ve got to see the movie and love it.” I saw it and I loved it…that’s what exciting, that [the MCU films] still working. The anticipation for Spider-Man: Homecoming has reached a fever pitch, with strong early buzz and an expected box office windfall. That everyone involved seems so confident about the end product will likely only further ramp up excitement for the newest iteration of the web slinger.